Discussion in 'Frontpage news' started by Hilbert Hagedoorn, Oct 17, 2018. Waaaahhh..., I remember it taking me hours to render one frame of a scene that looked like this in Studio Max on my CPU. The graphics look very nice, specially the shadows and lighting, the objects reflecting the lights look amazing although no one is going to notice them on most games. But there are 2 things that look off: the sunlight always seems to bright and the textures of some objects seem very "grainy". Nice looking demo , i'm all in for this new tech . I cannot wait to see this on it's full glory , a few years from now games at 4K , HDR and full RTC would look amazing. Looks like "film grain" effect. For 60 Frames Per Second, a full frame will cost approx 16.67 Milliseconds. So,........ to make calculations on shadings and lighting effects, it "costs" less time! Strange noise many surfaces and i don't like the flickering sparkles. In few years when it matures enough, it will be good. Or gpu still too slow, nvidia could have added more tensor cores, but it didn't. Gotta save some for next gen to make a bigger wow factor. Ok thermals and power is a limitation, can't argue there.. Well there is also a option to have more cores at lower clocks. But why should they do that if it will make e.g. 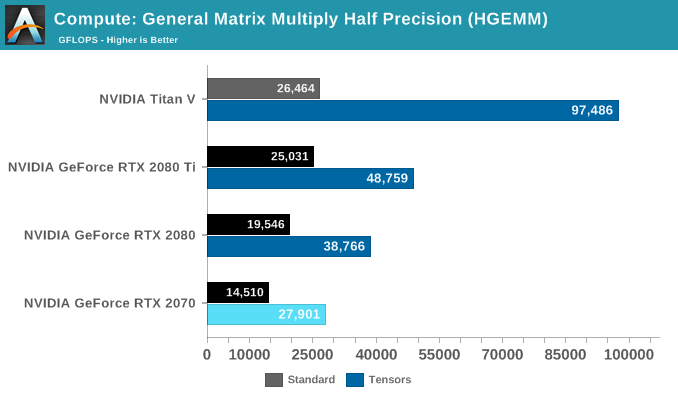 flagship TitanV look much much worse, so far its still on top when it comes to using its Tensor cores. airbud7 and TOMPPIX like this. If they ever decide to make separate Raytracing accelerator, I may buy it. xIcarus and jura11 like this. I am under the impression that the 9.2ms is in addition to a non RTX time. That is a very high time penalty for partial-raytracing, especially if the work cannot be run in parallel, which a lot of it probably can't. It's a dud for me. Mufflore and Dragam1337 like this. This is a terrible demo as well, generally in a gaming based demo, you want some animated scenes, but this is nothing but static environs. RTX is looking like a dud to me. It's a "test scene". You made a determination of a technology without even a basic knowledge of what you were looking at even though, it was described in detail what it was. AMDud for sure. So devs will need to use RT in heavy moderation in order not to kill perf. And this is at 1080p, even. Most people who bought RTX aren't looking to play 1080p... 1440p is probably the minimum for them, and if RT at 1080p already has this high a cost, I can only imagine what the cost is at 1440 and 4K. They'll probably use half-resolution RT? Like render the scene at 1440p, and then render the RT stuff at 720p? carnivore, Valken and tunejunky like this. Maybe in the next Nvidia cards RT can be run partially. As it stands out, not even games support it right now. I'm sure the RT on/off will be used in favour of performance, as IQ will be almost undistinguishable. 1080p?, did they use a 20" inch monitor too?. Probably can't do anything any higher. 'But can it run Crysis'. Why must we repeat this trope? It hinders adoption and we end up with threads with more or less official sanction of silliness. BangTail and Maddness like this.